A spectre is haunting the world of communications – the spectre of “content marketing”. It is said to be a new concept that emanated from the minds of advertising and social media gurus who found out that it is essential to provide content that people are interested in. We have always known this. Content journalists like to use as a basis for their daily work. Content for employees who love to read their employee magazines. Content for consumers who click the link because we made them do so. You have a great product. We will make it interesting to the public. Let's be honest, very few products or companies really are unique. In most cases, your CEO is no Steve Jobs, nor are your products as innovative as the iPhone. But there still is a lot of room for appealing stories. It's our job to dig for those stories, transport them to the right media and make sure your company gets the attention it deserves. It works. Honestly! Password managing programmes are as numerous as fish in the sea – and most of them are for free. What can we do to make people talk about RoboForm? We keep telling new stories and creating occasions to talk about them. Germany's largest regional newspaper warns about careless use of passwords. Did your e-mail accounts get hacked? An online portal for senior citizens recommends password managers. swissdaddy.ch, a website for fathers on using password managers for youth protection. ChannelPartner compares several password management softwares. An office management magazine writes about the benefits of password managers. Targeted media relations increase brand visibility and strengthen your company image. B2B or B2C – we know the right way to communicate your message to the right media. Just send us an e-mail or call us. To Print or Not to Print – Is this really the question? Is there still a need for print media? Our answer to this question is both yes and no. In some cases, print has become dispensable, while in other cases it is more important than ever. And sometimes success is a matter of finding the right combination of print and App. What are the reading habits of you target group? Where and under which circumstances do you wish to address them? What kind of equipment are they using? A financial analyst wants to see the business indicators – immediately and online. The employees' partner on the other hand only learns the latest company news from the magazine lying on the living room table. All forms of content call for different means of distribution. Whether on the office grapevine in internal communications, social networks, newspapers, magazines, TV or radio – your publications always have to face stiff competition. An unbiased competitive analysis often leads to surprising insights. We've been designing several employee communication tools for the ERGO insurance group for almost ten years. Being the only group wide print medium, the ERGO magazine covers the “big topics”, each issue focussing on one specific subject. Both the German and English versions of the ERGO magazine are published in print as well as on the companies Intranet. A day in a large global company. An important subject for any company. ... means more than just being international. FOX AWARDS Gold Visuals und Honors Efficiency. Design and concept of magazines require specialised expertise. Over many years, we have gained a lot of experience in this field – including conversion into user-friendly applications for PCs, tablets and smartphones. Just send us an e-mail or call us. 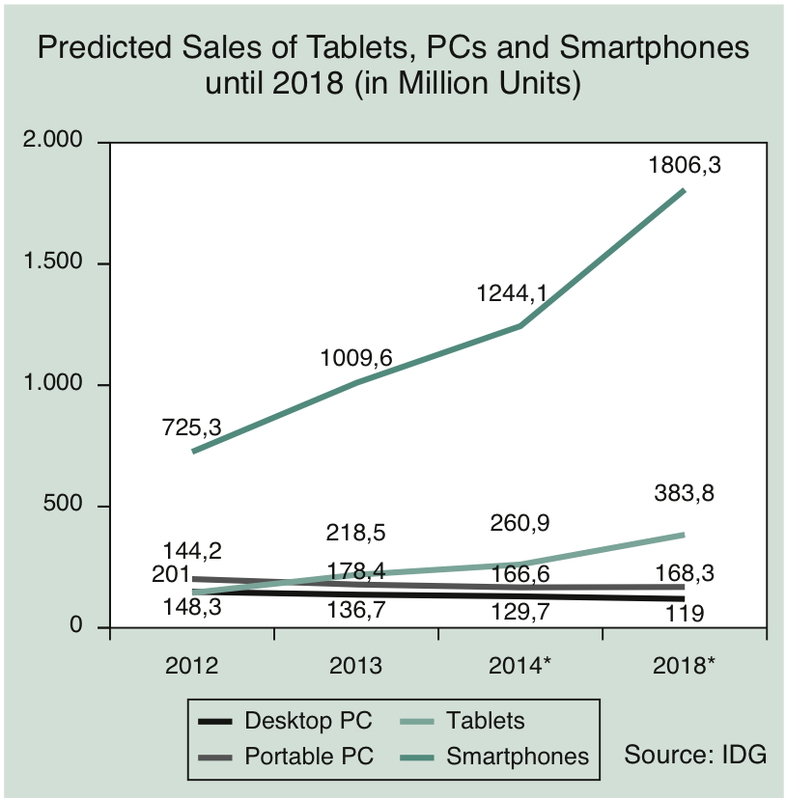 It's only a matter of time until tablets out number laptop and desktop computers. T ignore this development means to abandon the better part of your current target group – not only in consumer communications, but also in business relations. Sometimes, it doesn't have to be an app. The fastest and most economic way to bring your message to mobile devices is a responsive website that automatically adapts itself to any display. If you want to see how it looks like, just try the website of our service vor-ort-foto.de. Competition is tough. 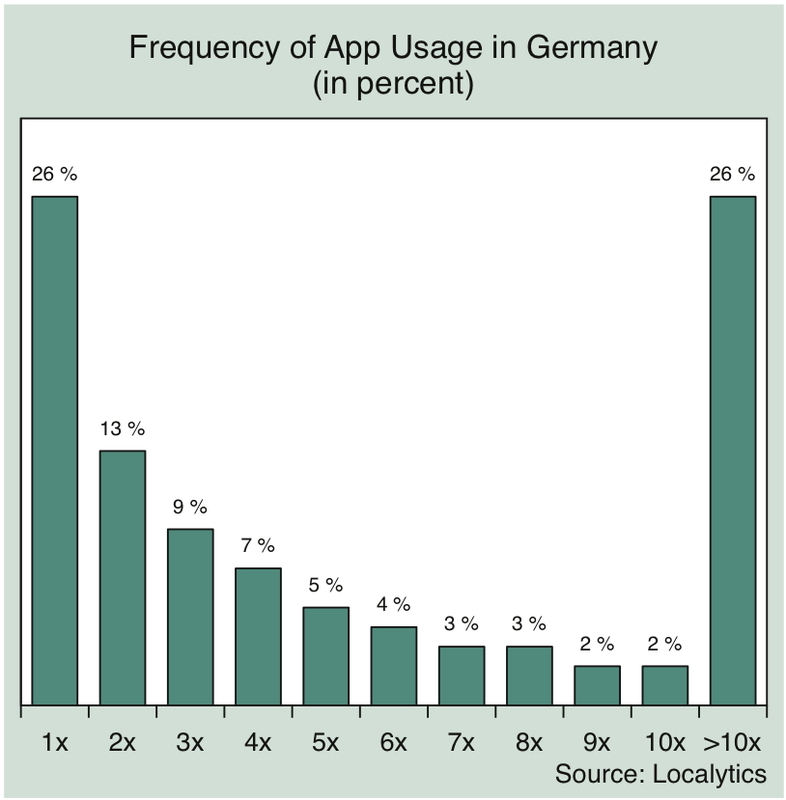 Only 25 % of all the Apps are used more than ten times after installation. The rest being lost on the back pages of your display. To make an App successful, the user has to obtain some additional benefits. We are working with experienced developers who know how to do this. 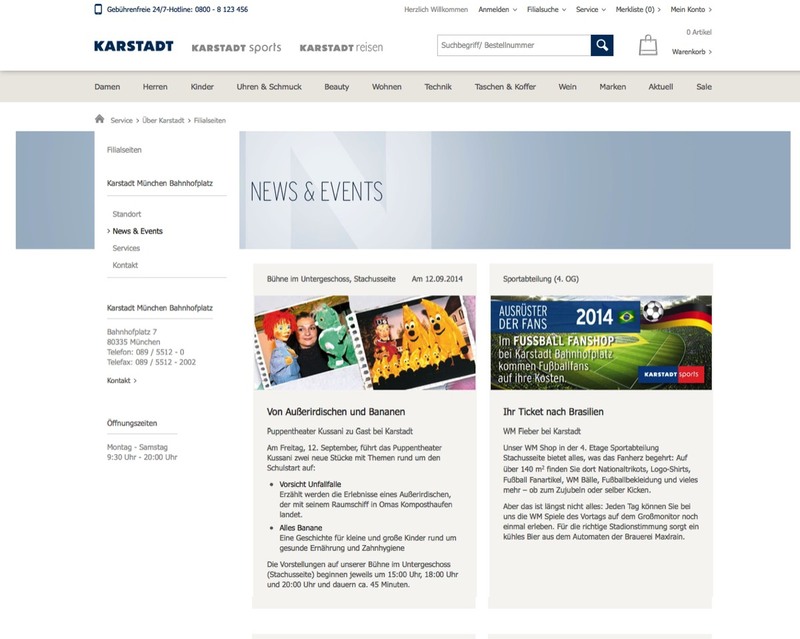 Karstadt.de, the online version of Germany's largest department store, started back in 1996, which makes it one of the first online shops in Germany. 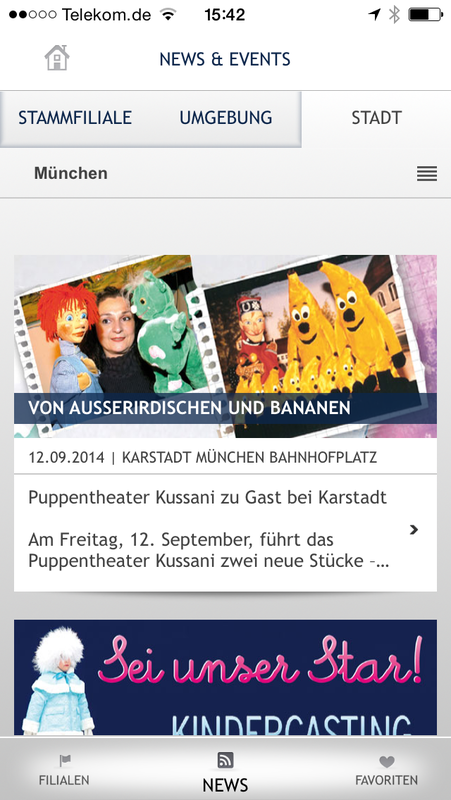 The content of store sites we manage creates a link between the online offers and the bricks and mortar shops – using a website as well as the Karstadt App. When it comes to adapting content to different devices, you have to take care of the details. We know the traps and speak the language of IT experts to find the right solution for you business. Just send us an e-mail or call us. ECCO is a leading international network of 32 PR agencies covering 40 countries around the globe.